Saturday, the planned evacuation of Puerte Natales, scheduled for 3pm finally was underway about 10 pm. 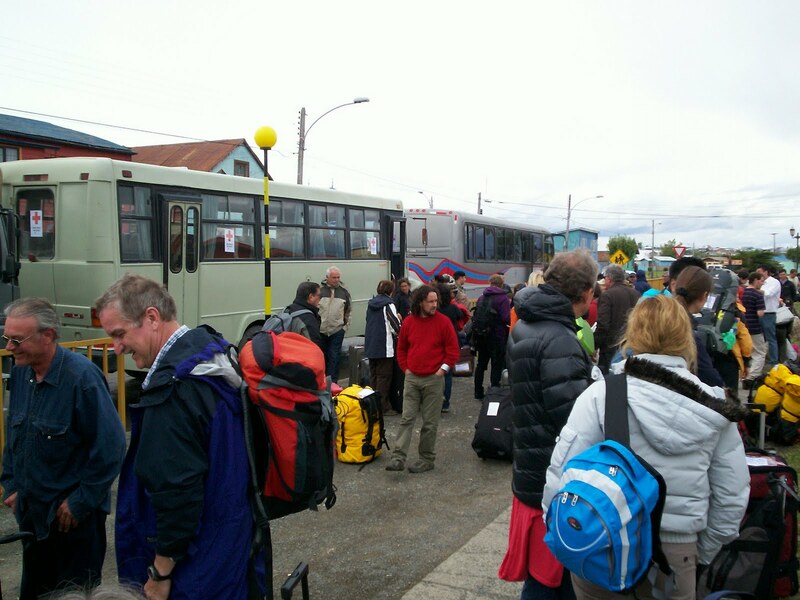 There were around 1000 tourists at the evacuation centre bound for Puenta Arenas in Chile and El Calafate in Argentina. 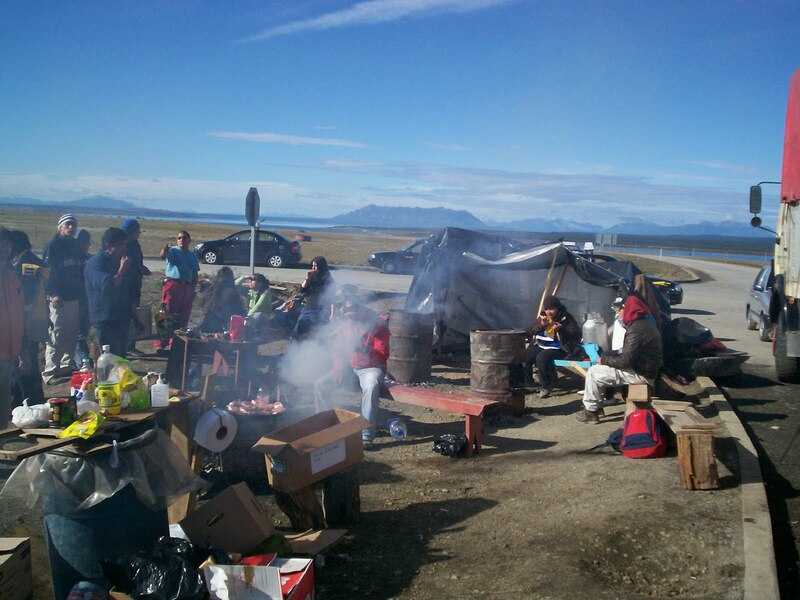 Both destinations were to be by air, Puenta Arenas by Chilean airforce and El Calafate by commercial flights. 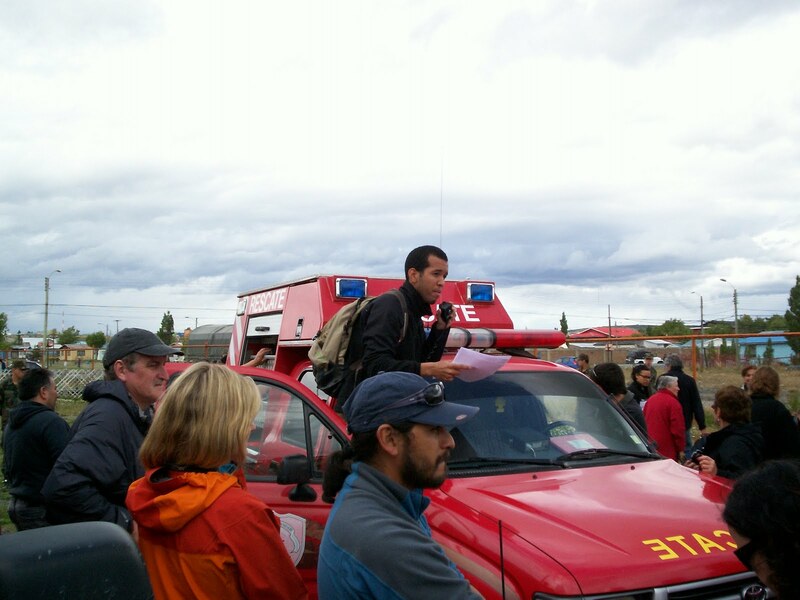 We did see one flight arrive and were told that it was bringing in a plane load of police and evacuating a plane load of tourists. There were only two buses at the evacuation centre for the airport and I would estimate that only half of the 400 or so destined for Puenta Arenas departed by 10pm. 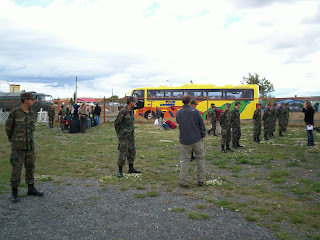 There was some problem with the flights to el Calafate and the evacuation was by road convoy. 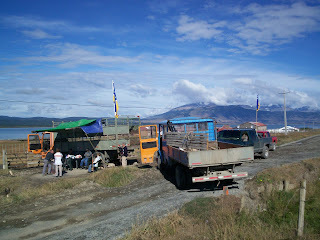 There were 3 large buses and 3 small, a capacity round 180 only for 700 tourists. Boarding was based on need and the army was used to maintain order (see photo). There was some issue with the first bus which presumably carried those in greatest need and it did not depart with the others. 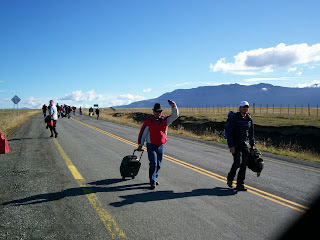 The convey did depart at 10pm reaching El Calafate at 3am Sunday. 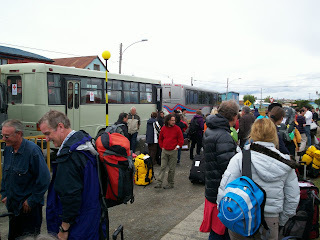 We passed about 6 buses on the road north from Puerte Natales but it was unclear whether they were returning from Torres Del Paine or Argentina and whether they were empty. It is likely that this provided sufficient capacity to evacuate the tourists waiting at the centre. 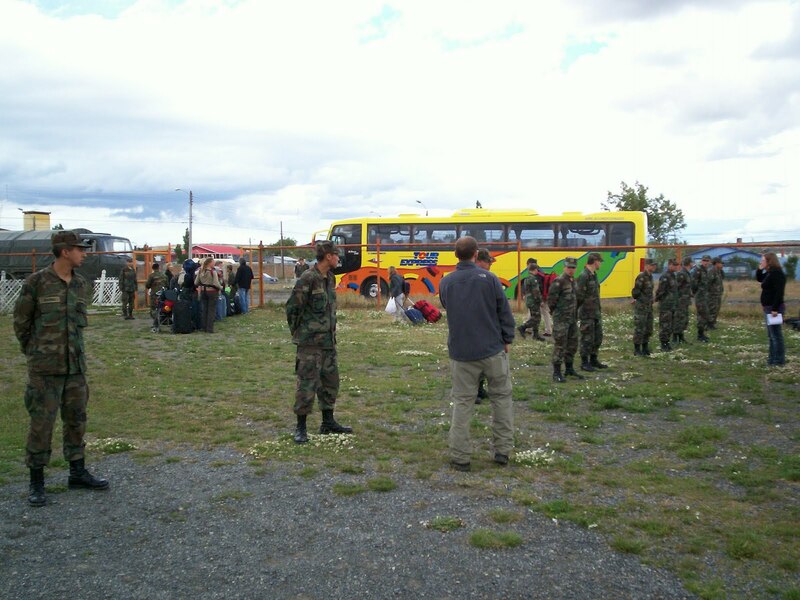 It is likely that the strategy was to clear the hotels and hostels in Natales so that Torres Del Paine could then be evacuated. Walkers returning from del Paine reported poor conditions there, food shortages, overcrowded refugios and unsanitary toilets. Crikey Tony, have a safe trip back home and take care. Watching tne news back here. Thanks for the post.